Born Cyril Wolf Mankowitz in London, 7 November 1924. Studied at East Ham Grammar School, London; Downing College, Cambridge, MA in English 1946. Served as volunteer coalminer and in army during World War II. Married Ann Margaret Seligmann, 1944; four sons. 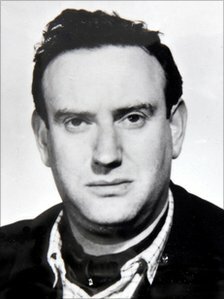 Produced plays and films, with Oscar Lewenstein, 1955–60, independently, 1960–70, with Laurence Harvey, 1970–72. Emigrated to Irish Republic, 1971. Adjunct professor of English, since 1982, and adjunct professor of theatre arts, 1987–88, University of New Mexico, Albuquerque. Many awards, including Society of Authors Award (for poetry), 1946; Venice Film Festival Prize, 1955; British Academy of Film and Televsion Arts Award, 1955, 1961; Oscar for Best Screenplay, 1957; Film Council of America Golden Reel, 1957; Evening Standard Drama Award, 1959; Cork Film Festival International Critics Prize, 1972; Cannes Film Festival Grand Prix, 1973. Died 20 May 1998.